QumanaXP Public Beta Launched – So Close! Hi Peter! Thanks a lot for confirming that it may well all have been a rather bad experience! Glad it’s providing good quality service throughout all of those years and very happy as well to read further on that article about how plugged the airline is at the moment. It’s true that I didn’t have a single problem at ATL airport to get plugged in and enjoy a good quality wi-fi experience, even if I had to pay for it. On the flight to ATL from MCO and back I had the opportunity to see the onboard wi-fi offering, which for a 1.30 hour flight I thought it was a bit too expensive, but good in situations where you may really need it, indeed! It can be a huge time saver! And, absolutely!! I will be seeing you in Paris in a couple of weeks and looking forward to it! Safe travels!! And thanks again for the feedback comments and for dropping by! Hi Silvia, thanks much for dropping by and for the great feedback! Greatly appreciated! Ohhh, certainly!! I forgot about that and really glad you have mentioned it above! Some times regulation, specially, for industries where we know are in serious need of a reboot of the system and business models, surely does the trick! I should have remembered that when booking my flight originally! 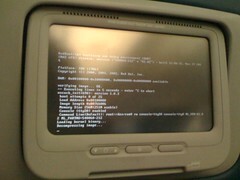 I guess I know now what I will be doing on my next flight to the US! Thanks much for that and for noticing the post! Greatly appreciated!